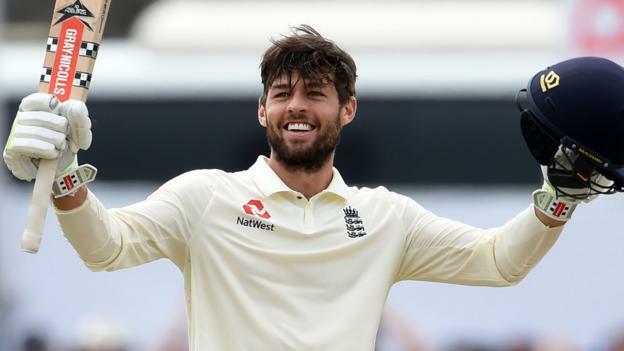 England cannot leave out Ben Foakes following his Test debut century against Sri Lanka in Galle, says Michael Vaughan. Wicketkeeper Foakes, a late replacement for the injured Jonny Bairstow, reached three figures on the second day as England posted a first innings of 342. The tourists dismissed Sri Lanka for 203 to end the day with a 177-run lead. “There’s no way they can leave him out of the side,” former England captain Vaughan said. Foakes hit 107 to help England recover from another top-order collapse and performed well behind the stumps as England dominated the day’s play. The 25-year-old was called up a fortnight ago following Bairstow’s ankle injury and only found out on Monday that he would be making his debut. Speaking to BBC Sport, Vaughan said: “I’m no wicketkeeping expert but I can see when it looks natural, and Foakes looks to me like he has a natural ability. Vaughan said Foakes, who batted for 287 minutes and faced 202 deliveries, provided a good balance to England’s aggressive batsmen. “There are so many firecrackers in there and Foakes can be that solid rock,” he said. England have struggled away from home in recent years; they have not won a Test abroad since 2016 and are without a win in their past 13 overseas Tests. The batsmen did not begin well but Foakes put England into a strong position and the bowlers performed well to give the tourists a first-innings lead. “If you take away that first session on day one, where England were horrendous, the following five they have been outstanding,” Vaughan added. Foakes became the second England wicket-keeper to make a century on Test debut after Matt Prior in 2007. Resuming on 87, Foakes hit the first ball of the day for four and rotated the strike to reach three figures and help England reach an impressive total. “My brother got here last night – that’s amazing – and my mum is getting here in about an hour,” Foakes told Sky Sports. England’s bowlers backed up Foakes’ performance, with off-spinner Moeen Ali taking 4-66 as they bowled the hosts out in 68 overs. Jack Leach, who took 2-41, told BBC Sport: “I feel like we spinners compliment each other well.